Olive Leaf Extract has been traditionally used to support the immune system during winter ills and chills. 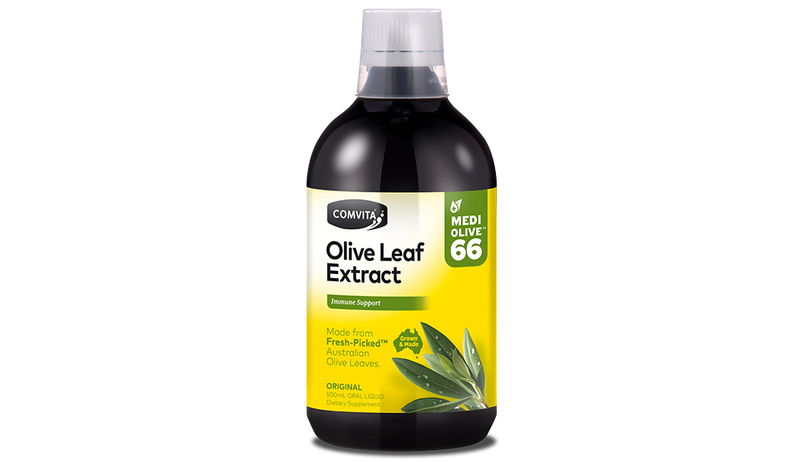 Be proactive this winter with a daily dose** of Comvita® Fresh- Picked™ Olive Leaf Extract. It is naturally high in antioxidants and by adding just 15mL per day for adults in your morning juice or smoothie makes it a great way to help maintain your general wellbeing all year round. Available in three flavours; original, peppermint and mixed berry.